The American Sports Builders Association has announced the 2017 award winners representing excellence in Sports Facility Design, Construction for Tennis Courts, Running Tracks, Sports Fields, Pickleball and Indoor Fieldhouse Venues. 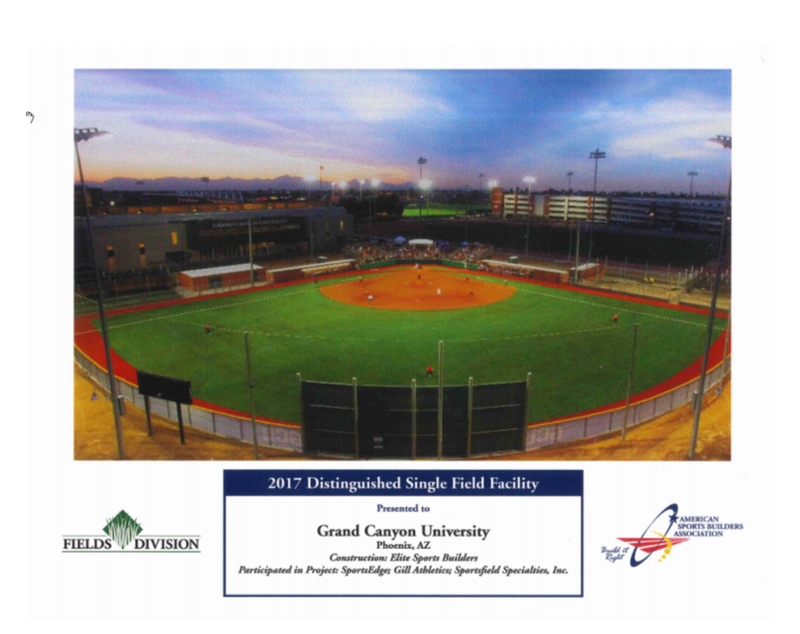 The ASBA presented its highest honors at the recent Technical Meeting held in New Orleans, Louisiana when it recognized the winners of its annual awards, including honoree Elite Sports Builders for a Distinguished Single Field Facility at Grand Canyon University. Awards are presented each year to facilities built by ASBA members, which best represent these values across the following categories: Tennis Courts, Running Tracks, Sports Fields, Indoor Facilities and Track and Field Facilities. Within some categories, there are divisions; for example, the Tennis Court category recognizes facilities in Indoor, Residential and Outdoor divisions. Projects are scored individually based on considerations such as layout and design, site work, drainage, base construction, surface, amenities, innovation and overall impression. Winning entries are those whose cumulative scores meet or exceed the standard. 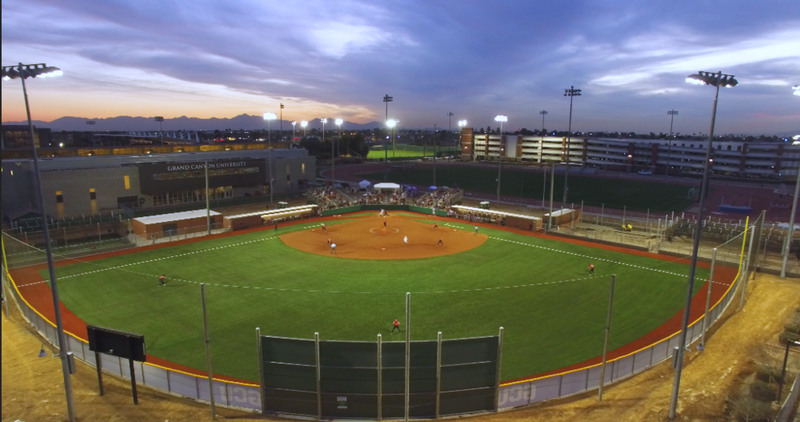 Grand Canyon University’s new NCAA Softball Stadium was a high-level project with exacting specifications and a nearly impossible deadline. The project was completed from start to finish in less than 100 days in order for the University to host their NCAA Season on it. This time period had bad weather and many trades working in a tight area; coordination and teamwork was vital to the successful completion of the project. 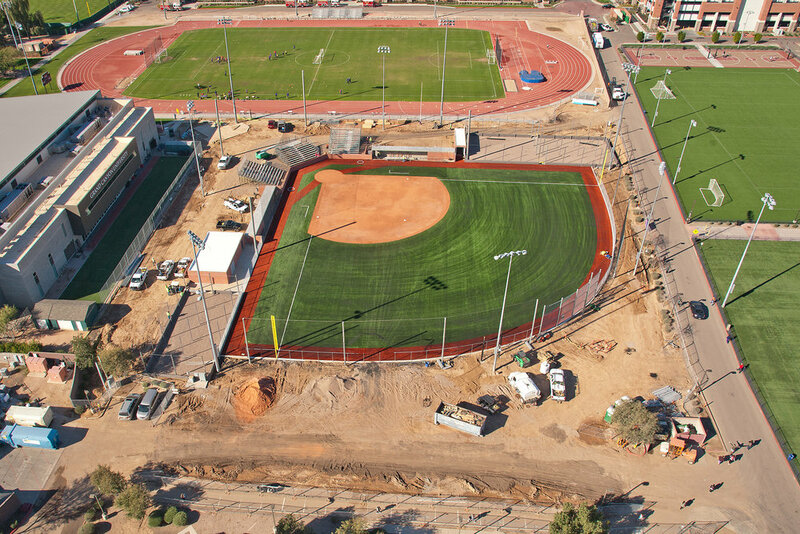 Our staff’s expertise in field construction assured that the project met the stringent NCAA specifications and regulations, as well as exceeding the GCU Softball Team and Coaching Staff expectations. This project ranks as one of the most technically challenging projects in our companies history, yet achieved national recognition. Elite Sports Builders was responsible for installing the 42,576 sq ft turf softball field as well as the 8,135 sq ft clay infield including inlaid NCAA softball foul lines all built to ASBA specifications.